SANDPINES EAST. New "Rogue" Model, 1765 square foot home under construction soon. 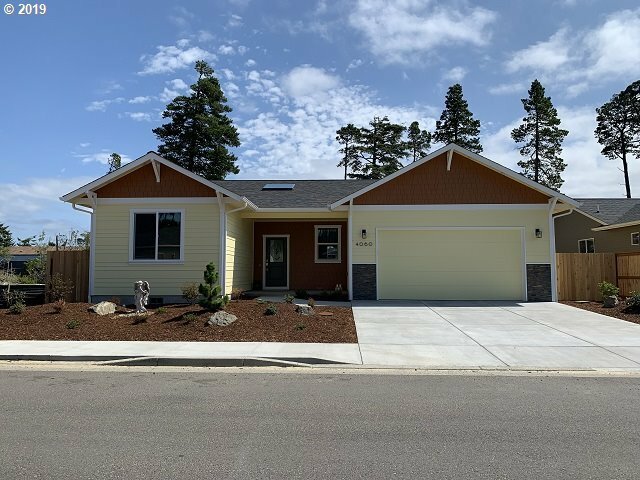 3 bedroom, 2 bath, featuring 9-ft ceilings throughout, quartz countertops in kitchen, stainless steel appliances, custom soft close alder cabinets including bathrooms. Master bath has roll-in shower. Ductless heat pump for heating & cooling. This new gated community includes ponds and a nature walking trail for the owners that parallels the golf course. Copyright © 2019 RMLS. All rights reserved. Information deemed to be reliable but not guaranteed and should be independently verified. The data relating to real estate for sale on this website comes in part from the Internet Data Exchange Program of the RMLS™ of Portland, Oregon. Real estate listings held by brokerage firms other than Coldwell Banker Coast Real Estate are marked with the IDX logo and detailed information about them includes the name of the listing brokers. Listing broker has attempted to offer accurate data, but buyers are advised to confirm all items. Information last updated on 2019-04-18 03:35:38. Some properties which appear for sale on this website may subsequently have sold or may no longer be available..